When you have kids, your home tends to overflow with toys and no room is immune to their invasion, so having a little toy organiser or two will make finding, looking after and enjoying the toys much easier and a lot more fun for the whole family. There are a wide range of different toy organisers on the market and finding the right one for your kids toys is about knowing what toys you have to store, how much room you have and where you want the toy organiser to be located. The ideal toy basket for the bathroom, for example probably wont work as well in the bedroom, while playroom toy organisers much be too big for a bedroom. Wooden Box Toy Chests. A classic that will stand the test of time, you’re kids will love the collection of different wooden chests that they can use as toy storage boxes. For little boys, nothing beats a treasure chest made for a pirates treasure of toys and little girls will love their princess chest filled with all things pretty and pink. 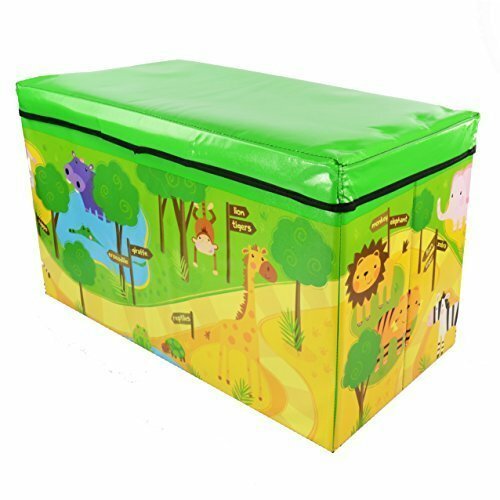 Canvas and Fabric Toy Chests. 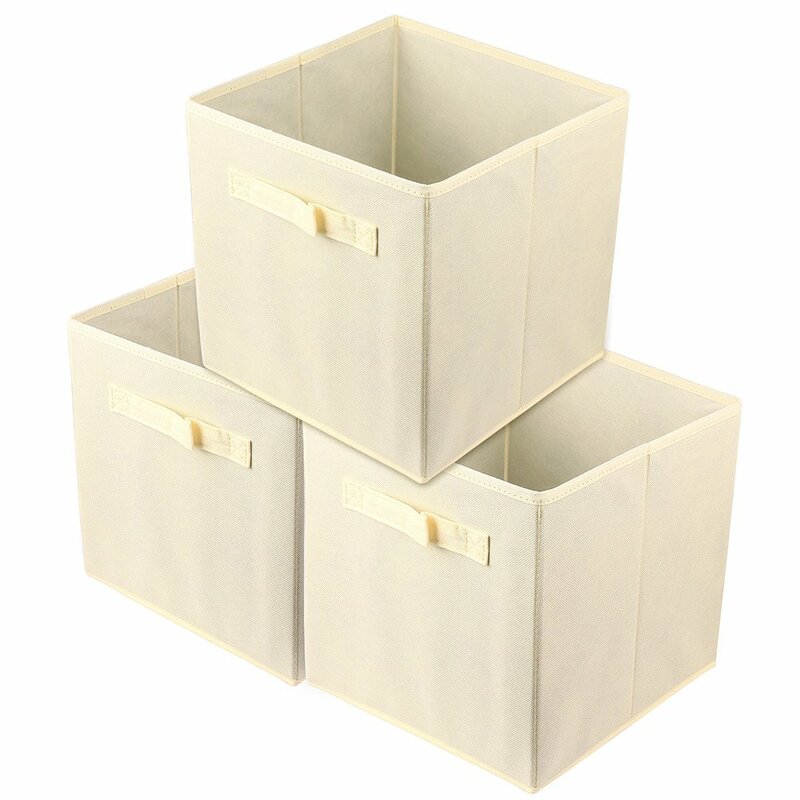 If you are looking for something light and versatile, then canvas storage boxes are ideal. They come in a range of different colors and designs to suit just about any room and some of the models are even collapsible for easy storage when not in use. 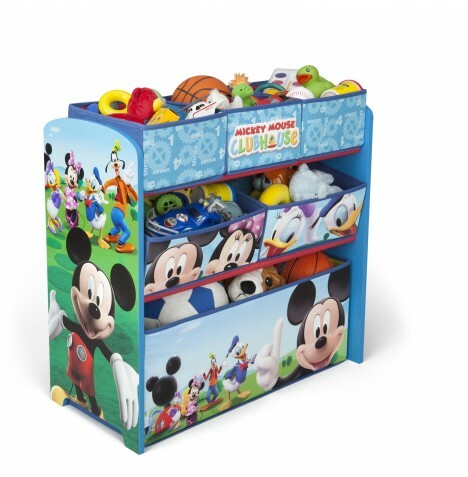 Toy Organiser Systems with Plastic Bins. By far the most popular of the storage systems, they are easy to install, come in a great selection of colors and the bins can be removed and filled easily. 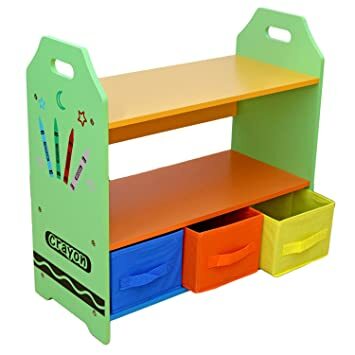 Another great reason to invest in these units is that they are great space savers and some of them have wheels on the bottom, so that the kids can move them around the house or playroom. Hanging Toy Storage. Sometimes you’ll find that space is a premium and being able to hang some storage unit behind the door or from the ceiling lets up a lot more floor space giving your child’s bedroom a more spacious feel. Hanging cubbie storage is a great solution with soft toys being the ideal toys to store in these units. Both hanging hammocks and chain gang are great for smaller items too. Bathroom Toy Storage. A little different to the rest, you’ll want to ensure that your bathroom remains a haven of relaxation for the whole family and having a menagerie of floating toys in the bath at all times can be a little less than relaxing. A hanging hammock or a above the bath bag is a great way to keep everything in check. 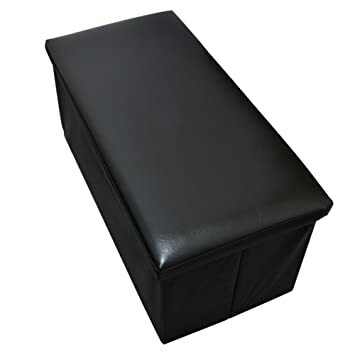 For mom of newborns, you’ll also appreciate that having a kneeling pad with storage could be the answer to being able to keep control at bath time. Pop up Storage Bins. These little pop up bins are so versatile and useful that not only are they being used for toys, but for dirty laundry, extra bedding and a wide range of other uses. They are great at teaching your kids about being tidy and organized while making it all seem like a lot of fun. We all know how easy it is for your kids toys to find their way into every room of the house and finding ways to keep them under control is about making a designated space for them and making it fun for the kids to put them back in that place when they are done. Remember to always involve the kids in the decision making as far as is possible including the choice of style of storage unit. While storage of toys is one aspect of taking back your home, there are a few things you will need to do before you begin your organizing. One of those things is to make sure that you are not making storage space for unwanted, unloved or unhealthy toys. Its important to separate any broken and unwanted toys from the pile and donate those that are still worth playing with. Many kids are happy to give up toys when they understand the happiness that it can give another less fortunate child. You should be left with a fine collection of toys that are either played with regularly or semi-regularly (seasonal toys may fall into this category, like water guns etc.) You’ll want to store the seasonal toys out of reach with the more popular toys within easy reach. If you find that there is still too many toys in your popular pile, you may want to reduce them in number and gradually rotate them with other toys. Even old toys can seem new if they haven’t been played with for a couple of months. 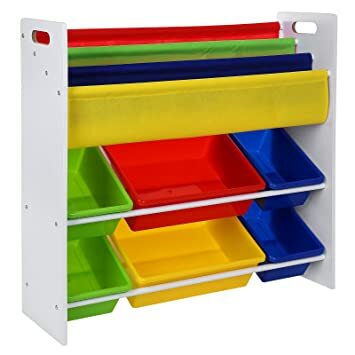 One of the best solutions to lots of little toys is to invest in a toy organiser unit. 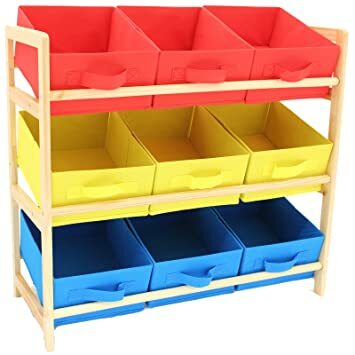 The most popular and safest designs have clear plastic bins making it easy to see what is inside and are no higher than three shelves high making it easy to access all the toys. The smaller and more lightweight the containers, the easier they are to handle. One of the best ways to ensure good organization in the playroom or bedroom is to have designated areas for each of the playtime events such as a hobby corner, a play mat and a barbie or transformer corner. When the kids are in that space, they are less likely to move around leaving their toys all over the place. Decorating those areas and making them special is a great way to keep them creative. Make cleaning up part of the game by having them decorate their storage bins and then placing those particular toys inside, or at the end of the day taking a couple of minutes to put their toys to bed so that they can be fresh the next day for more fun and games. Once your kids are used to tidying up after themselves, they wont even remember leaving the toys lying around. Its a great life talent and will make home living that much easier for all.